With a division title still to wrap up, the Vikings and their red hot offense from a week ago came crashing down on Sunday, losing at home to the playoff bound Atlanta Falcons 24-17. The win for the Falcons clinches them a playoff spot, while the Vikings are still fighting for their playoff lives with one week to play. The Vikings, now at 9-6, will root hard for the rival Packers tomorrow night, as a win by Green Bay in Chicago will clinch the NFC North. If the Bears win, and they should, the two teams will be tied as we enter week 17. The Vikings now appear to have the better matchup though, as they will play the Giants, the Super Bowl champs who clinched the #1 seed in the NFC Sunday night. The Bears will go to play a Houston Texans club that lost to Oakland on Sunday on a short week on the road. Matt Ryan threw for a TD and didn’t make any big mistakes, and Michael Turner ran for 70 yards and a score as the Falcons took care of business in a place most remembered for one of if not their greatest all-time win – a win in the NFC Title game back in 1998. Sunday didn’t mean as much, but it possibly could have for a team that was 4-12 a season ago, and looked like as they headed into the season was going to be hard pressed to win more than 4-5 games. Instead, they have used Turner’s punishing running style, an aggressive defense that loves to play takeaway, and the youth and strong play of Ryan to turn into a legit NFC contender. 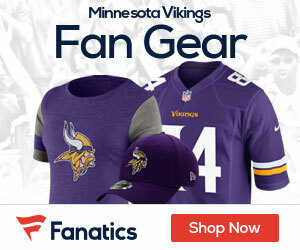 The defense held last weeks NFC offensive player of the week – Vikings QB Tarvaris Jackson, in check, as he was 22-for-36 for 233 yards with two scores, but was not nearly as effective as a week ago in Arizona. The big number was the Falcons D holding MVP canidate Adrian Peterson to just 76 yards on 22 carries. He also fumbled once, which the Falcons pounced on. Overall, the Falcons forced a whopping 7 Vikings fumbles, and they walked out recovering four of them. Ryan was 13-for-24 for 134 yards with a TD. The Falcons jumped out 7-0 at the 8:47 mark of the first quarter on a Turner score, then after the Vikings tied it, Ryan hit Jerious Norwood for an 8-yard score to make it 14-7 early in the second quarter. Jason Elam kicked a 22-yard field goal to make it 17-7 at the half, then Ryan took the ball to the goal line, fumbled, but it was recovered by Justin Blalock for a TD at the 2:38 mark of the 3rd quarter to make it 24-7. Never hurts to be lucky. The Vikings scored 10 fourth quarter points, but the Falcons D held on a 4th-and-15 from the Vikings 40 as Jackson’s pass was incomplete, securing the win. Antoine Winfield led the Vikings in tackles with eight while Ray Edwards, Cedric Griffin, Ben Leber and Darren Sharper each added four stops; Edwards also had two sacks on the afternoon. Right now if the playoffs were to start today, the Vikings would play the first weekend in January at home vs Dallas. So now the Vikings will wear cheeseheads on Monday night, and if that doesn’t work, they will get ready for a matchup with the Giants, and at the same time root for the Texans to top the Bears. Where the heck was the Vikings croud during the Atlanta Game? It was like they took a bunch of valium. Make some noise for your team and make it difficult for the other team. This is the Metrodome-act like it!! !